My next debt pay off story comes from Cody and his wife, Georgi. They were and still are able to live on just 30% of their income! They did extreme things to reach an extreme goal! They were able to pay off $80,000 in less than two years. Reaching your goals is not impossible, you just have to believe that it’s possible. Brief history, background information, marital status, children?, age, highest grade completed, if went to school what did you major in? Do you use your degree, income range if comfortable sharing. Have you don’t anything others would think is extreme to reach your financial goals? My name is Cody and I’m a 25-year-old financial independence aspirate living in Eastern Washington with my wife, Georgi, 2 year old daughter, Elli, and fluffy lapdog dog, Pilot. In addition to my day job, I’m an author, blogger, financial coach for individuals and businesses, and a big football fan (go Hawks!). My wife & I both graduated from the University of Washington with Bachelor degrees, mine in Political Science and hers in Anthropology. Like most degrees in the humanities and social sciences, we use neither today. Our combined household income is around $90,000. During our debt payoff spree, we were both making $15/hour to start. 16 months in, I got a raise to $24/hour which definitely helped shorten the payoff. In the years since, my income has gone up, allowing Georgi to stay home with Elli and do more freelance writing while we’re still saving upwards of 70% of our income. 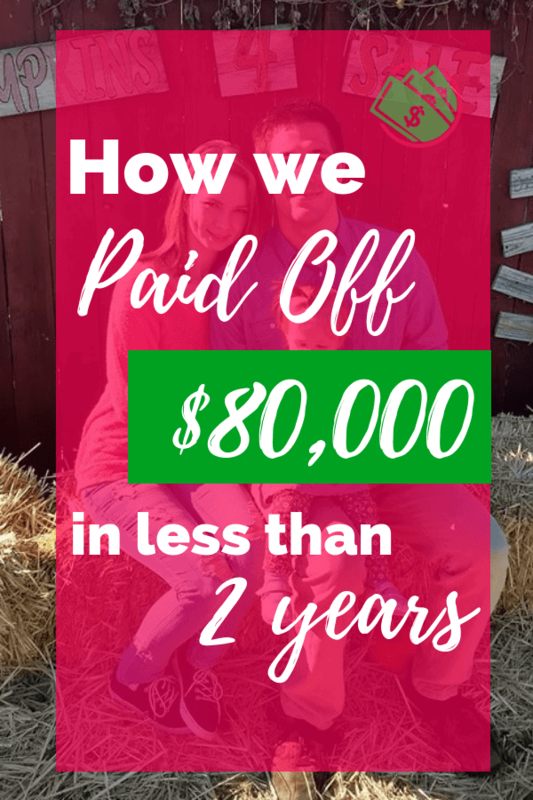 We started with over $83,000 in car and student loan debt and paid it all off in 20 months, with roughly 70% of our take home pay going towards debt. The only debt we have today is our mortgage at $169,000 from a house we bought 3 years ago. The home itself is worth $230,000, with $30,000 of that from sweat equity and the rest from appreciation. We drastically reduced our expenses, starting with the lowest-hanging fruit. We cancelled our Verizon contracts, paid the early termination fee and switched to Republic Wireless, reducing our phone bill from $120/month to $25/month. We saved $80/month by cutting cable. We temporarily suspended gift-giving (except for some small gifts during Christmas) after explaining to our families what we were trying to do. Most of our recurring subscriptions were cancelled except Netflix and we moved into a cheaper apartment. We started walking to work, eliminated vacations and after getting our car loan’s balance down to its actual market value, we sold it and bought a $2,400 Altima to eliminate our car payment and reduce our car insurance premiums by switching to liability-only on the cheaper Altima. One of the biggest saving measures outside recurring expenses was always eating at home (except for special occasions); we leveraged Costco to cut our grocery bill (including toiletries) to $75/week for the two of us. We bought “Two-buck Chuck” (now almost-three-buck Chuck) instead of craft beer. All these changes allowed us to put the majority of our paychecks towards debt. We also made a major lifestyle change by moving from Seattle to a small city in Eastern Washington about about halfway through this journey, both because I had family there and the cost of living was lower. I still wanted to keep the job I had in Seattle, though. My employer had never had a full-time operations employee work from home, so I knew my request would be unprecedented. That didn’t stop me from asking, though. I got creative and put together a detailed work-from-home plan for my managers that would have me working in three different departments. My presentation convinced them to take the risk on me, and I paved the way for others at the company to do the same! I’ve been working from my home office for over three years now. We also increased our income. 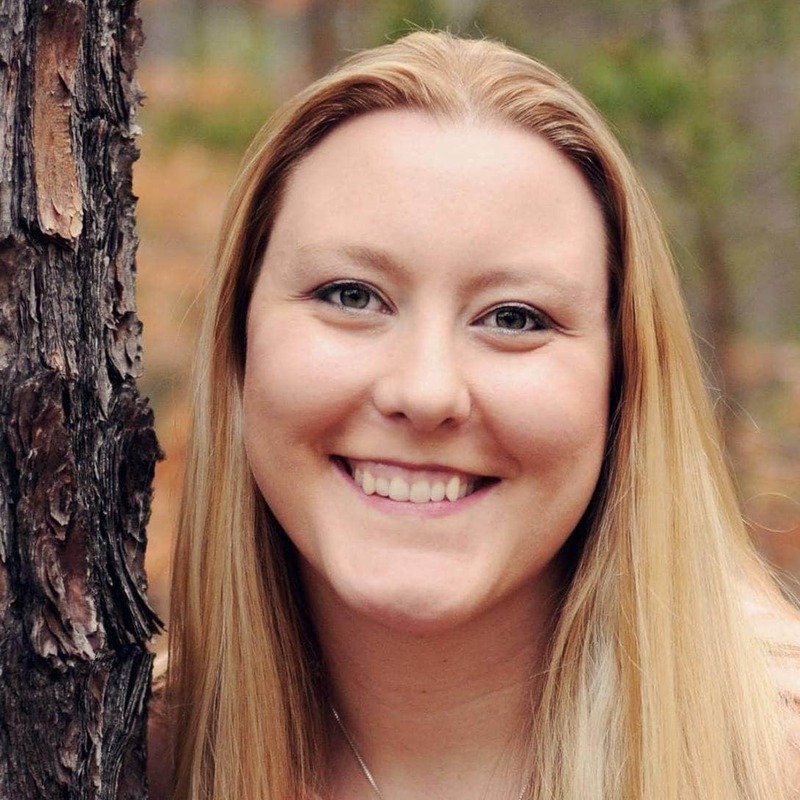 My wife’s blog was found by a publication that hired her as a freelancer. She wrote a couple articles a month that brought in some extra income. We also found higher paying jobs a few months into our debt payoff spree that paid us roughly $15/hour. A year later, I got a raise that brought me up to $24/hour and a new position that allowed me to take extra on-call shifts. During this time, I was taking two on-call shifts every month, allowing us to up our debt payments even more. Our most recent accomplished goal was writing a book. We did it primarily to educate people on financial independence, but we are hoping it will be a small income stream as well. We self-published Clocking Out Early: The Ultimate Guide to Early Retirement through Amazon. Our next goal is financial independence! We’re pursuing financial independence for its flexibility. Once our passive income/investments exceed our expenses, we can do whatever we’d like to do without being bound to a paycheck. This might mean staying at my job or it could mean traveling, homeschooling, starting a business, running for office, or volunteering. The important thing is that once we don’t need to worry about putting food on the table, we can do whatever we want to do without worrying about needing to have it turn a profit or provide a paycheck. We wanted to start a family but needed more of a financial cushion before pulling the trigger, so we decided to pay off our car. We started researching the best ways to do this and stumbled across the early retirement blog of Mr. Money Mustache. After devouring his content, we fully revamped our spending habits to go beyond our initial goal of just paying off the car. 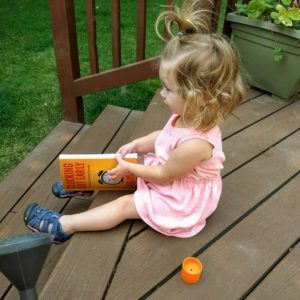 We decided we would pay off all our debt and pursue financial independence. Mr. Money Mustache. 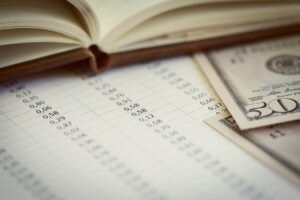 Specifically, his article on “The Shockingly Simple Math Behind Early Retirement.” This one article completely changed the course of our lives and took us from living paycheck to paycheck to paying off our debt and saving most of our take home pay with the end goal of retiring in our early 30s. Yes, we do a monthly budget using Excel and a Word doc. Sticking to a budget is about internal motivation. You have to really want to meet your financial goals for it to work, because it’s pretty easy to create a budget and still overspend. Those that have a specific goal are more likely to stay on track (paying off a debt, saving for a down payment, etc). So my advice would be to create a financial goal in conjunction with your budget. That way you know your destination and the reason for saving. A more traditional tip is to keep a whiteboard on your fridge. Write down the things you run out of during the week and then come up with a dinner schedule (including eating leftovers at least couple times each week–this is key!) for the following week. When it comes time to shopping, write down everything you had on your whiteboard and whatever you need for dinners, eat something so you don’t shop hungry, and go to the store and only buy the things on your list. Our goal of financial independence is extreme, but our spending and lifestyle aren’t. I think a lot of people equate frugality with taking ketchup packets from Mcdonalds to cut your condiment costs. That’s not frugality, that’s being cheap. Frugality is about being just a little bit smarter than the next person. Buying 2 lbs of chicken breasts for $4, fettuccine noodles for $0.69, alfredo sauce for $2.50, broccoli for $1 and garlic bread for $2 gives you 4 meals for $2.55 each. This is cheaper than a Cheesy Gordita Crunch at Taco Bell and tastes better. Same result (a full stomach), much better price. 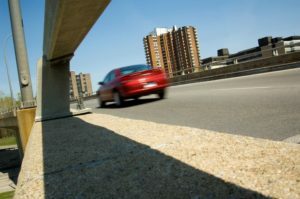 Driving a 10-year old car you bought with cash is about the same experience, after the “new car” joy wears off in a couple months, as driving a brand-new car with a $500/month payment. Being more creative with your gift giving can result in better gifts with a lower cost. Deciding to cut the cord and not spend $120/month on cable reduces costs, improves health and productivity and frees up time. Living below your means, frugally and simply, will provide a happier life that allows you to reach financial goals many people think are just a fantasy. Yes, I pretty much exclusively read non-fiction books. And of course, I especially loved the book my wife and I wrote ? : Clocking Out Early: The Ultimate Guide to Early Retirement. This goes back to setting a financial goal. I keep my eye on the prize (financial independence). Balance is also important. Making sure to spend a little to take a vacation now and then keeps burnout at bay. Don’t finance the Civic, you dummy. We financed a fully loaded 2012 brand new Honda Civic with all the bells and whistles while I was working at Taco Bell at $11.50/hour (with student loan payments) and while my wife was working at Office Depot at $10/hour (also with student loan payments). Fun fact: I actually “bought” the car while in my Taco Bell uniform. Talk about a prime target for a salesperson! Two things come to mind. First, is the temptation to eat out. My frugality is challenged the most here. Thankfully, I have a wife who just tells me no (most of the time) when I ask to go out to eat when we already have a delicious home-cooked meal on the schedule for that night. My advice is to make sure you’re really motivated. Ask yourself why you want to pay off your debt. 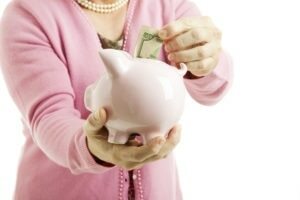 Is it so you can start a family, save for retirement, or save for a down payment? You have to have a driving factor to get you through the slog. Once you have that motivation, start by tracking your spending. Chances are you don’t really know where your money is going. Use a service like Mint to address this. Then focus on eliminating soft expenses (anything you can live without, i.e. cable, dining out, subscription packages, etc.) and reduce your hard expenses (move to a cheaper apartment or house, sell your car and buy a cheaper one, switch to a low-cost cell phone carrier, etc). After reducing your expenses, focus on increasing your income. Take on extra shifts, start a side hustle, work hard at your day job to get a raise. Through cutting expenses and boosting income, you’ll create a large surplus. Throw that surplus at your debt. I personally prefer the debt snowball method, meaning you pay off your lowest-balance debts first. Once that’s paid off, you take that same surplus, plus the little added on top from the no-longer-needed monthly payment on the recently eliminated debt, and apply that package to your next lowest balance debt. You continue this until your debt is wiped out. The more loans you payoff, the greater your surplus becomes, and the faster you pay off debt – that’s why it’s called a snowball. The debt avalanche method technically works better (since you target the debt with the highest interest rate first), but it doesn’t give you the psychological boost the snowball method provides. Ultimately, no amount of financial tips, no matter how novel or wise, can in themselves make a difference in your financial situation. Only you can do that. 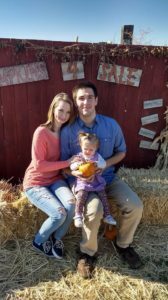 Cody blogs at Clocking Out Early where he writes about achieving financial independence and early retirement. You can follow him on Facebook, Twitter, or Instagram.